Here is loot offer from amazon shopping site which can expire anytime. Expiry: 11 AM today ! Hurry !! 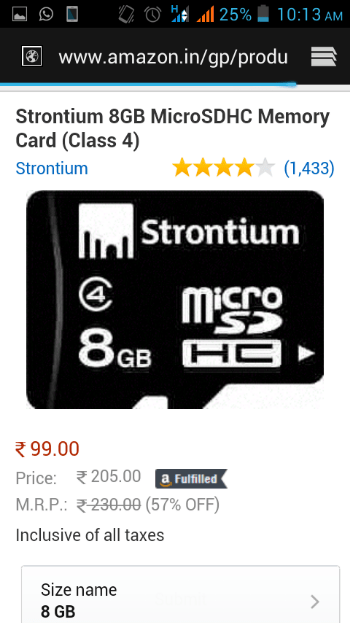 You will get Strontium 8GB Memory Card just at Rs 99 without applying any coupon. 1) Go to offer page by clicking here and add product to cart. 2) Order your product, free delivery option available.